Fixed Income Analysis Workbook helps busy professionalsbetter understand and apply the concepts and methodologiesessential to fixed income portfolio management. 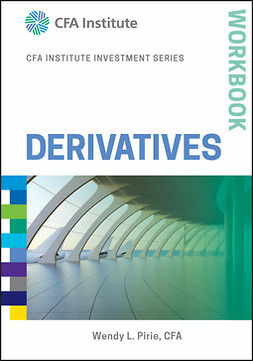 A companion to theFixed Income Analysis text, this helpful workbook offerslearning objectives, chapter summaries, and practice problems thatreinforce the practitioner-oriented material to give readers theconfidence they need before applying these concepts to real cases.Readers will test their understanding of the metrics, methods, andmechanics associated with fixed income portfolios, and make use ofthe tools and techniques described in the text. This informativestudy guide is designed to facilitate information retention andclarify application confusion, helping readers better manage theseportfolios for their clients. Part of the CFA Institute Investment series, this workbook helpsreaders translate theory into action as they practice applying theconcepts presented in the text. Carefully designed problemsrepresent the most up-to-date practices in fixed income portfoliomanagement, giving readers the confidence they need to use thesetechniques in real-world settings. Investment analysts, portfolio managers, individual andinstitutional investors and their advisors, and anyone with aninterest in fixed income markets will appreciate the opportunity toclarify these complex issues with extensive hands-on practice. Fora more solid understanding of fixed income portfolio management,Fixed Income Analysis Workbook is a complete, practicalresource.